Data is everywhere and is continuing to grow faster than ever. Effectively managing and utilising the ever-growing amount of big data is vital to remain competitive and effectively use resources. 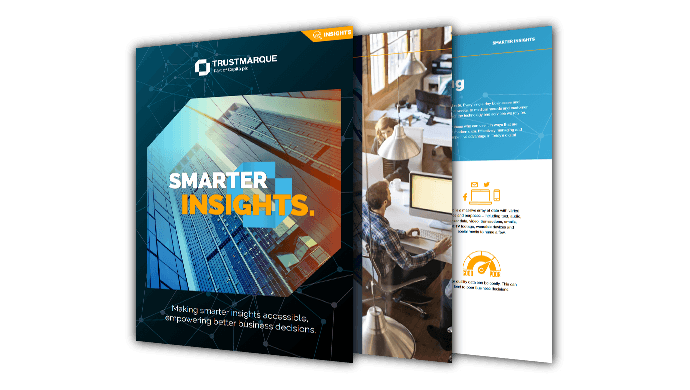 Why choose Trustmarque’s Business Intelligence services? Our business analytics services and solutions are designed so you can use data and analytics as a valuable asset across your business. Whether you need to understand what can be done, create an initial project, or deliver a complex enterprise solution, we provide expert knowledge and experienced support. Our professional team of data specialists offer a complete service of planning, design, build, deployment and migration capabilities for your all your Business Intelligence and data management requirements. Learn how to uncover business value from data, make better decisions and boost competitive advantage. Make smarter decisions and drive better outcomes. Having a deeper understanding of customers, service users and employees is a great opportunity to create a competitive advantage. There are also benefits to be gained from allowing your teams access to the data they need to make smarter, quicker and better decisions. 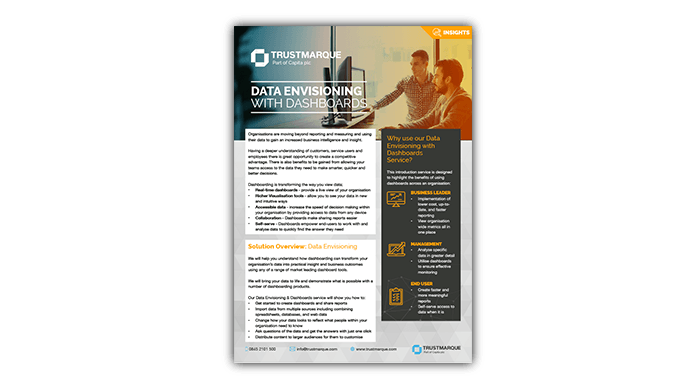 Our data envisioning service can transform your organisation’s data into practical insight and business outcomes using any of a range of market leading dashboard tools. 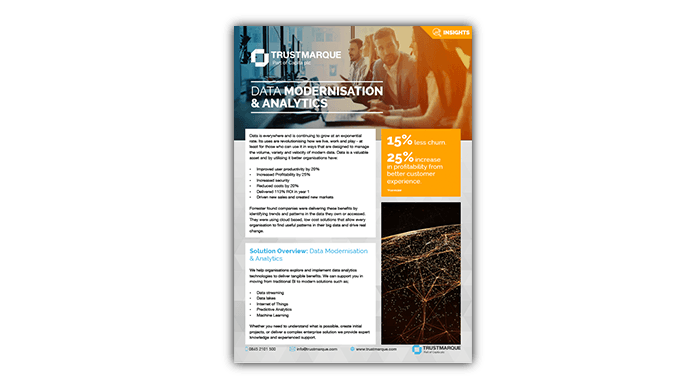 We help organisations explore and implement data analytics technologies to deliver tangible benefits. 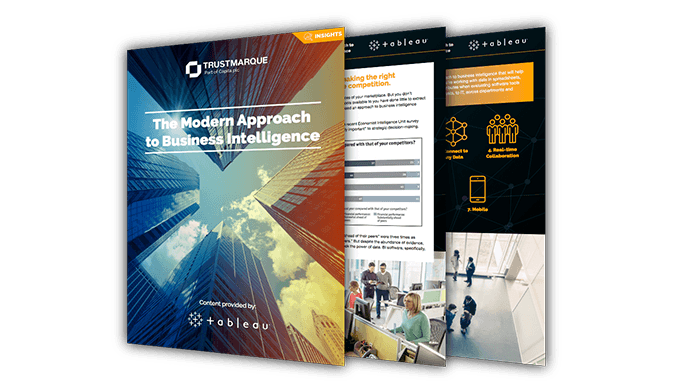 Our expert delivery teams can demonstrate what a modernised platform can do for your organisation and how to cost-effectively deploy the latest Business Intelligence and Advanced Analytics technologies. Our Practical Data Management Service is specifically designed to provide a clearer picture of your Microsoft SQL estate’s system security and overall status and to make recommendations for improvements. We will use our expert knowledge of databases and systems management to identify strengths and weaknesses within your environment. The Bedrock Data Warehousing solution is specifically designed to simplify the management of a data warehouse for the NHS. Using NHS Digital rules, this high performance application makes processes and reporting faster, accurate and more reliable. The Bedrock Data Warehouse for the NHS automates all regular reporting activities for a Trust. By using NHS England Rules combined with your local rules, you can quickly deliver CDS files, SUS, SLAM data and manage your data quality with ease, freeing up time and resources from your informatics, operations and finance teams.